crossover Watchmen into the DCU knows as Doomsday Clock and we've all been waiting on baited breath for more hints and what not. 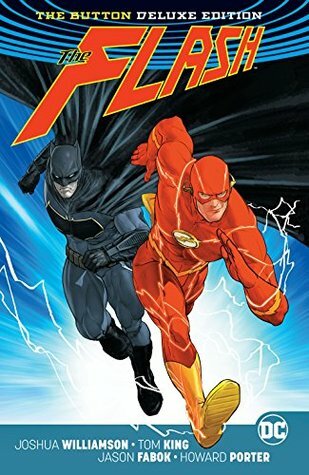 Well "The Button" is the road to Doomsday Clock; collecting BATMAN #21-22 and THE FLASH #21-22, this four issue crossover gives us all this drama and action as Barry and Bruce find themselves in the Flashpoint universe. Now, I'm not going to say more because if you were one of the ones waiting for the release of the collected series you're in for a treat. And, if like me you have a subscription at your local comic book shop and you picked up every issue like your life depended on it, then you already know how awesome this story is (I mean we see Bruce's dad as Batman again) and what answers our boys will find. We've covered story, now lets talk art and covers. When these issues released they were released in variant lenticular covers and two of those now grace the covers of the hard cover deluxe edition. Despite having all the issues and the variant covers, my collection felt a little lonely without the hard cover set. So which did I choose? I chose the one with Batman and Flash running side by side. Personally I felt that one was way cooler and really encompassed the teamwork between Batman and Flash and they try to solve this mystery. Like the covers, the art inside does not disappoint. By the end you'll like treadmills and caves. 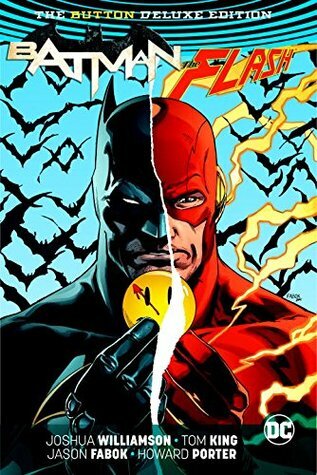 Basically, if you haven't read, go get yourself a copy and get ready for the release of Doomsday Clock.